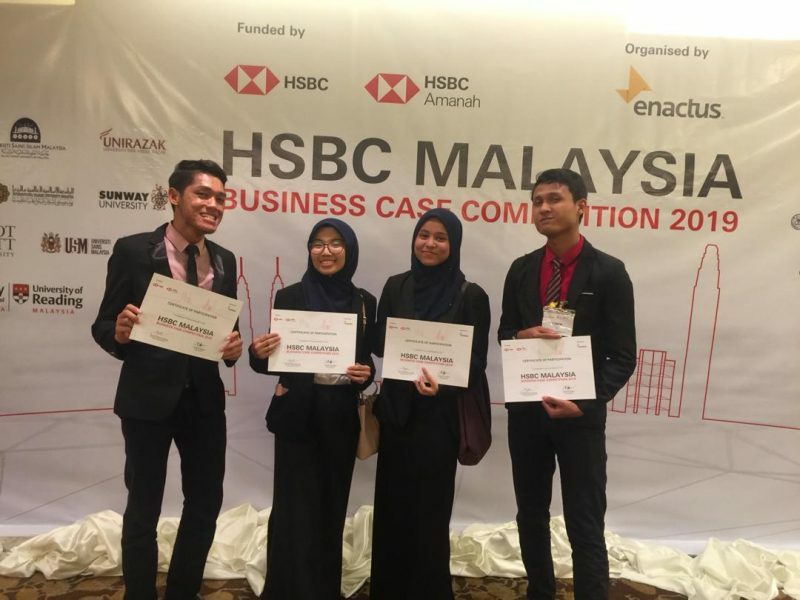 13th March 2019 – The Faculty of Economics and Muamalat (FEM) has sent a group of students representing USIM at the Opening Round of HSBC Malaysia Business Case Competition 2019. 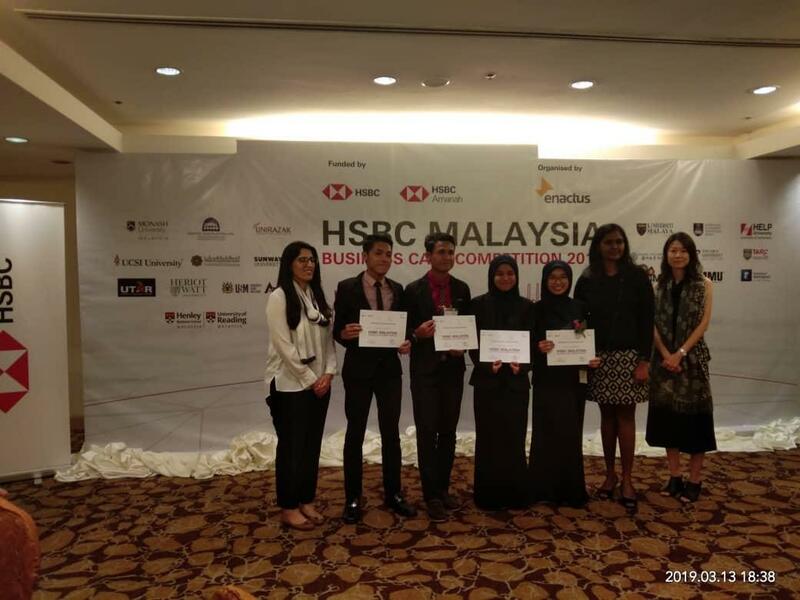 This event was organised by ENACTUS Malaysia and HSBC Malaysia at Hotel Istana Kuala Lumpur. 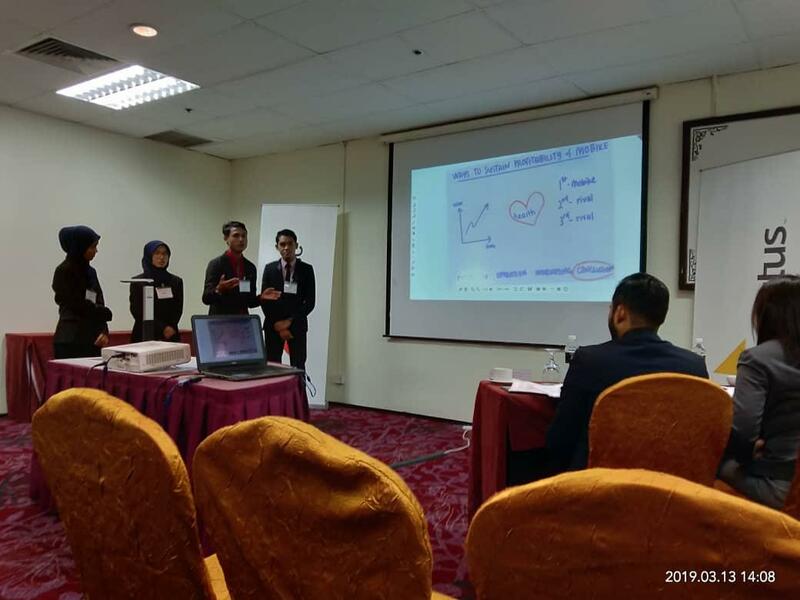 USIM representatives comprise of SmPAK and SmPKI students namely Anisah Abdul Kadir (SmPAK), Nur Shazarna Aminuddin (SmPAK),Asnor Mohamad Iqbal Agus Salam (SmPKI) dan Nabil Haikal Zainal Abidin (SmPKI). ADAKAH PERBANKAN ISLAM DAN MAQASID SYARIAH TIDAK SERASI?